We provide a personal service to will help you find business finance for your company, within 24 hours if required. Whether you need a simple business loan or specialist finance for your industry sector, we can help. We have independent access to the UK marketplace of business lenders. Expansion, growth or purchasing stock. Investing in new equipment & machinery. 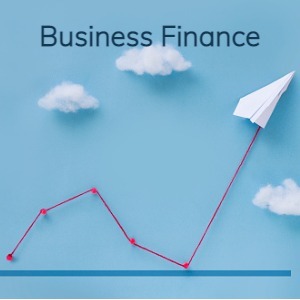 Our business finance experts will give you free, independent help and advice, without any obligation on your part to go ahead unless you decide that an offer is right for your company. Often referred to as receivables finance, these products will release an initial lump sum against your outstanding unpaid sales ledger, then funding is released against new invoices as you raise them - improving the cash flow of your company. Invoice or Sales Finance (a blanket term for factoring or invoice discounting). Factoring (finance against invoices with collections support). Confidential Invoice Discounting (finance only). Construction Finance (specialist finance for the construction industry). Retail Finance (specialist finance for shops and retail businesses). Contract Finance (finance against contracts, licenses, retainers and subscriptions). Selective Invoice Finance And Invoice Auctions. Spot Factoring, Single Invoice Factoring & Single Invoice Discounting. Confidential Factoring (collections support in the name of your business). Sales Ledger Upload linked to Confidential Invoice Discounting. Bad Debt Protection (protection against bad debts). Export Finance and Export Factoring (funding & collecting international sales). Trade Finance (finance for imports of goods from abroad). Business Loans - up to £1 million repaid over up to 10 years - either secured or unsecured. Supply Chain Finance & Reverse Factoring. Debt Collection & Debt Recovery (collection of old invoices from businesses or consumers). Asset Finance, Leasing & Hire Purchase (via our specialist asset finance partners). If you would like to understand the full range of funding options available to UK businesses please see our guide. If you are not sure which product or service you need, use our ONLINE PRODUCT FINDER or you can download our SIC (Standard Industrial Classification) code guide to see the suitability for invoice finance, construction finance or retailer finance. Products like business loans are available across the board regardless of industry sector.